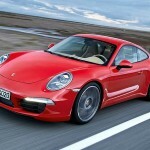 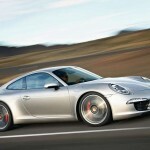 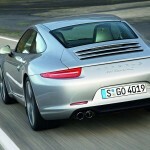 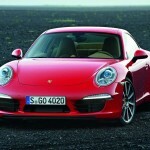 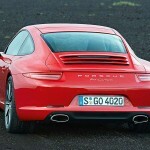 After countless teaser videos and leaked images, Porsche has finally revealed its next-generation 911 model. 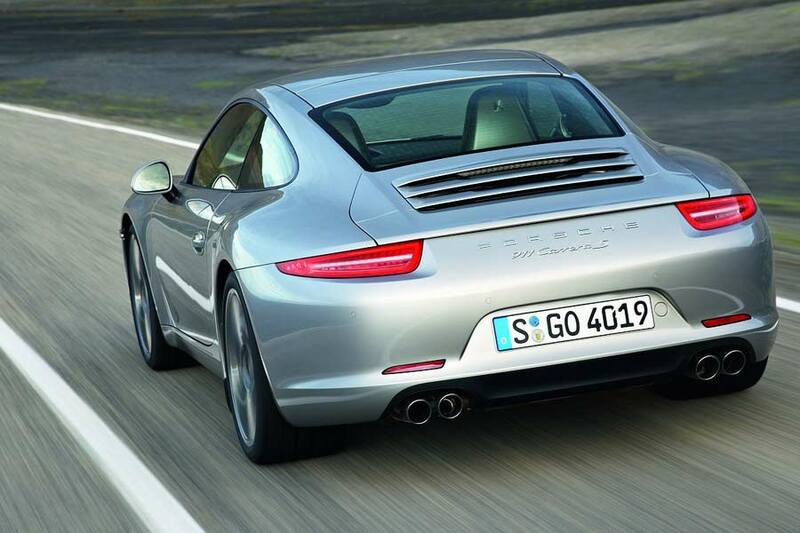 Undercutting the outgoing 997 by 45 kg, the 991’s lightweight body also delivers greater rigidity, and aerodynamic optimisation – notably a wider, variably extending rear spoiler – which reduces the lift while retaining an impressive overall drag factor. 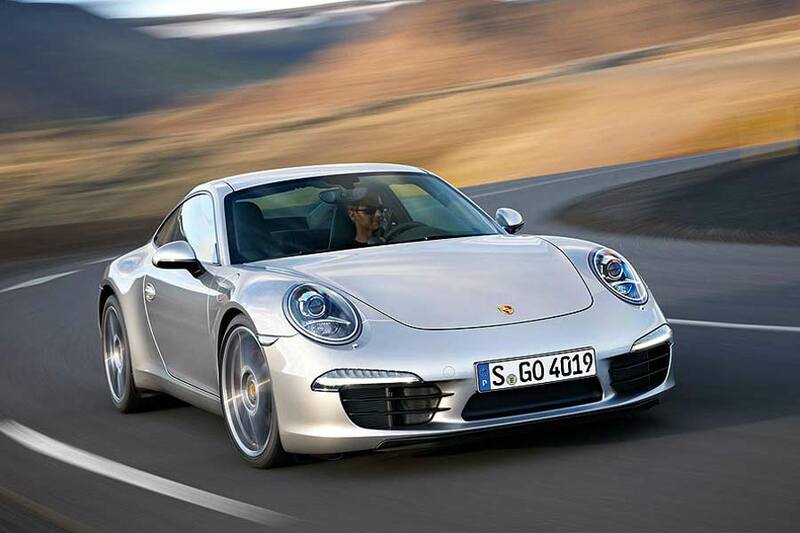 The 911’s rear-mounted flat six engines come in two forms – the Carrera gets a new 3.4L unit, developing 350 hp. 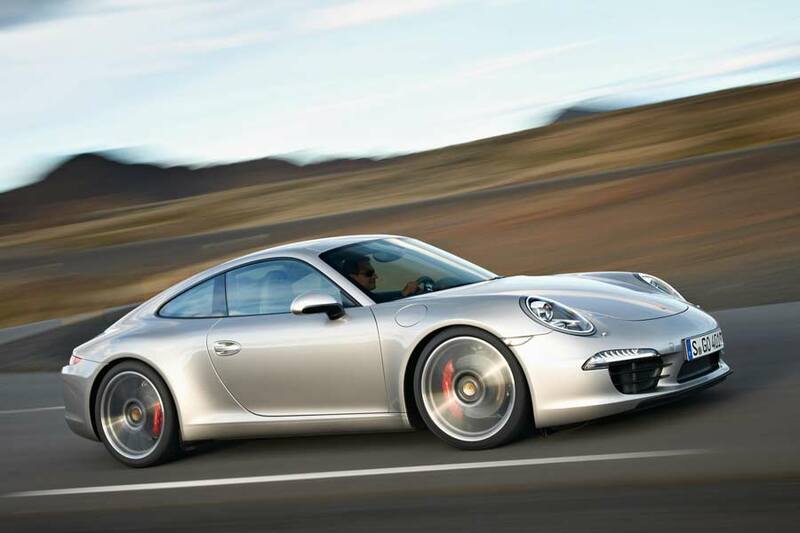 With PDK the 0-62 mph time is 4.6 seconds – 0.1 quicker than its predecessor. 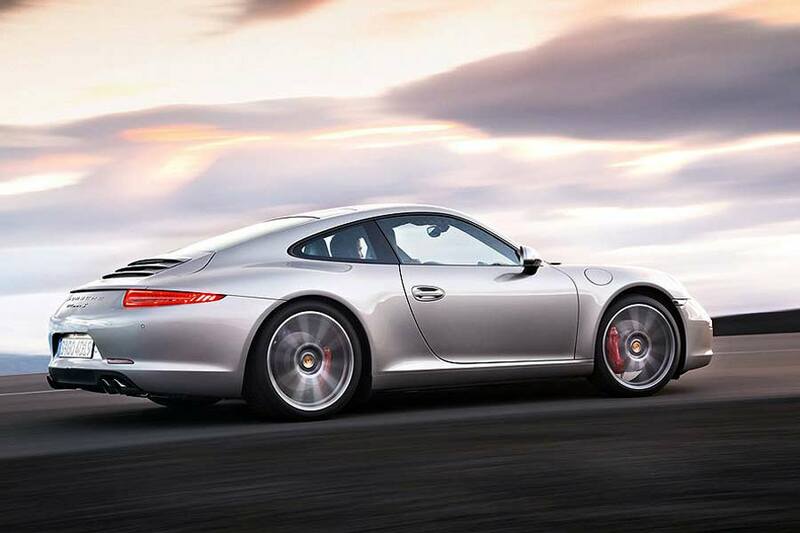 If you specify the optional Sport Chrono Pack, a press of the Sport Plus button reduces that time to 4.4 s.
The Carrera S features a 3.8L powerplant, good for 400 hp. 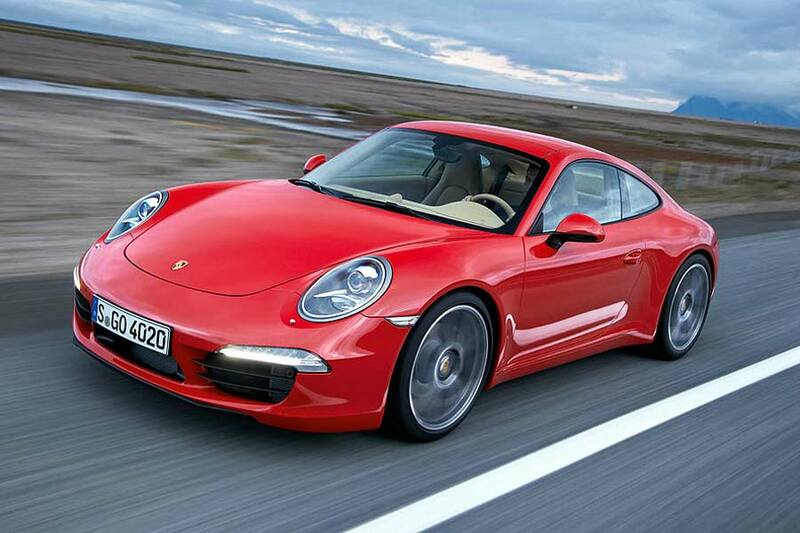 This translates to a 0-62 mph time of 4.3 seconds and 4.1 s with Sport Plus engaged. 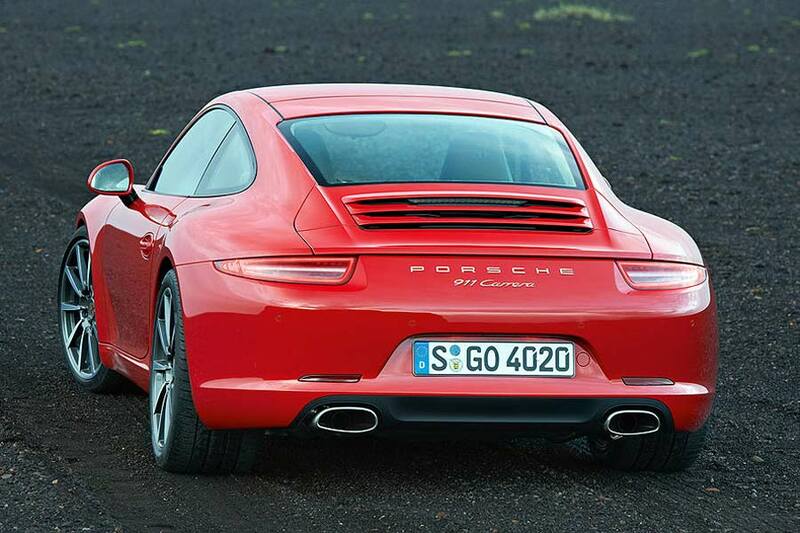 An improvement of 0.2 s over the old car. 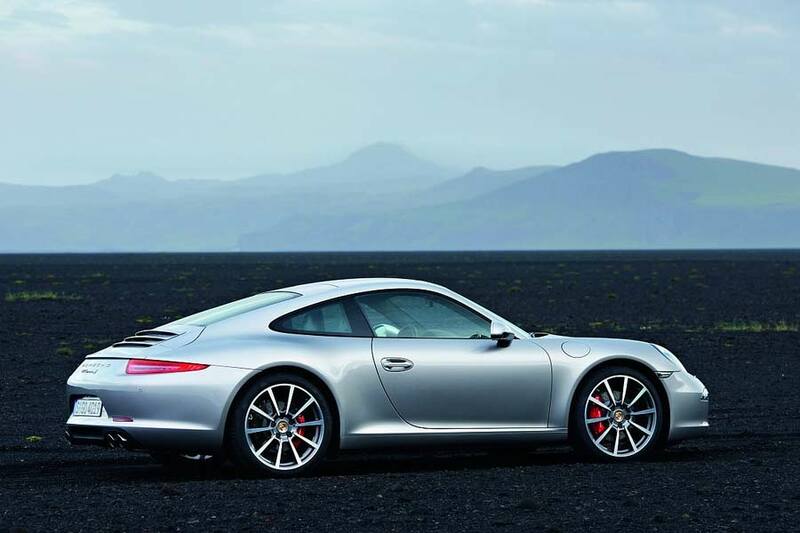 Thanks to systems such a auto start/stop, electrical system recuperation, thermal management, the 991’s fuel consumption and emission levels are up to 16 per cent lower than the 997. 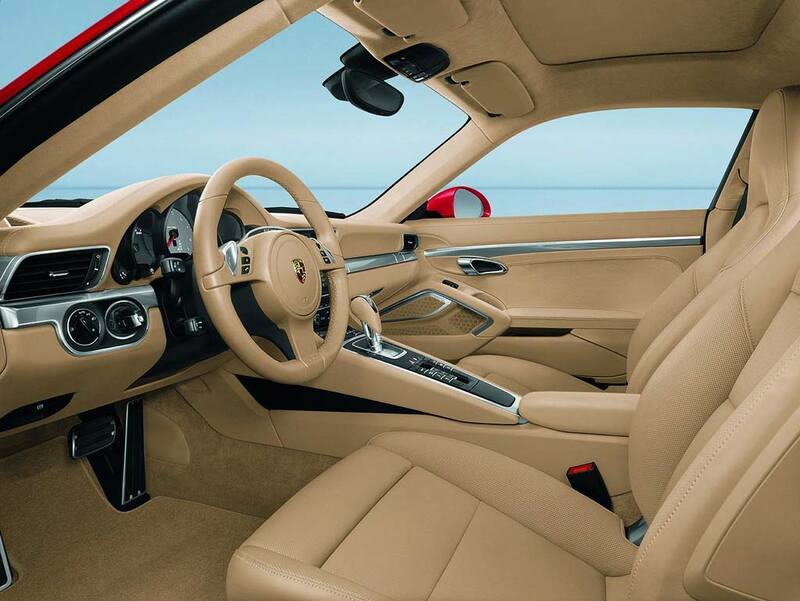 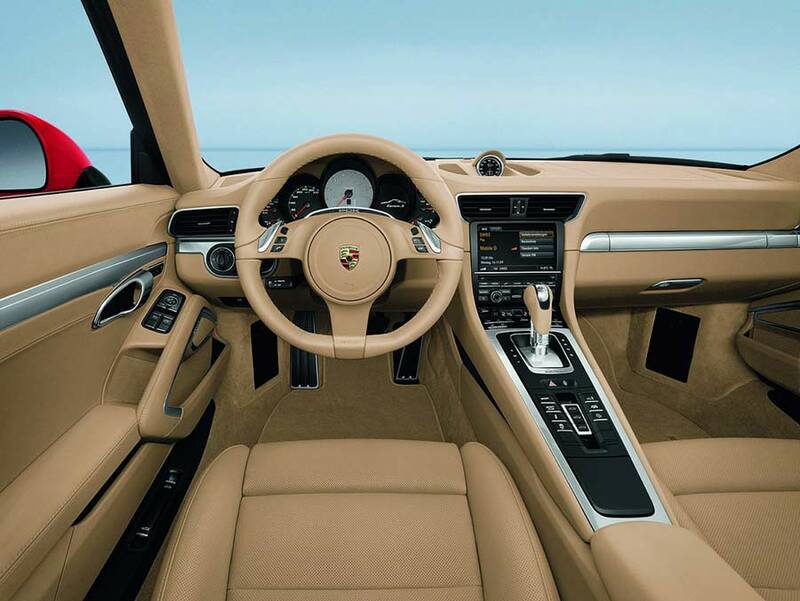 Another beneficial feature is the (world’s first) seven-speed manual transmission – in conjunction with PDK (Porsche-Doppelkupplungsgetriebe) which features a ‘coasting’ function that decouples connection to the engine while the throttle is closed – further enhancing fuel efficiency. 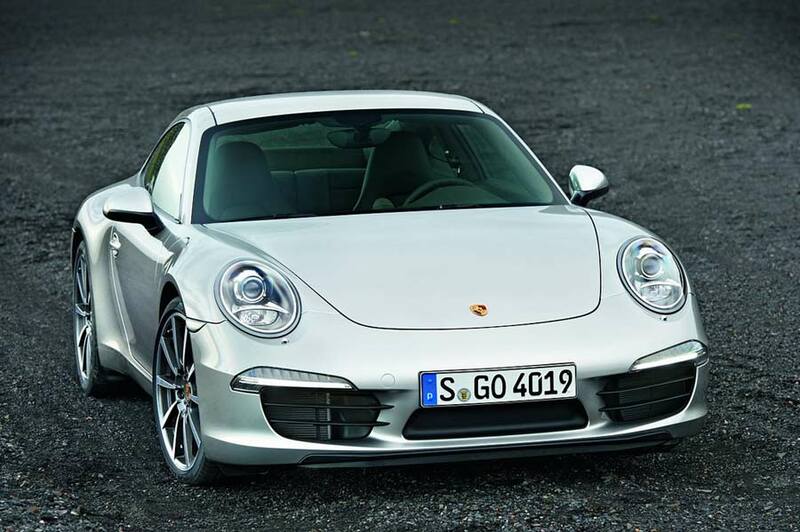 For example, the PDK-equipped 911 Carrera can return 34.4mpg – a 6 mpg improvement over its predecessor – and is the first sports car from Porsche to dip under the 200 g/km mark. 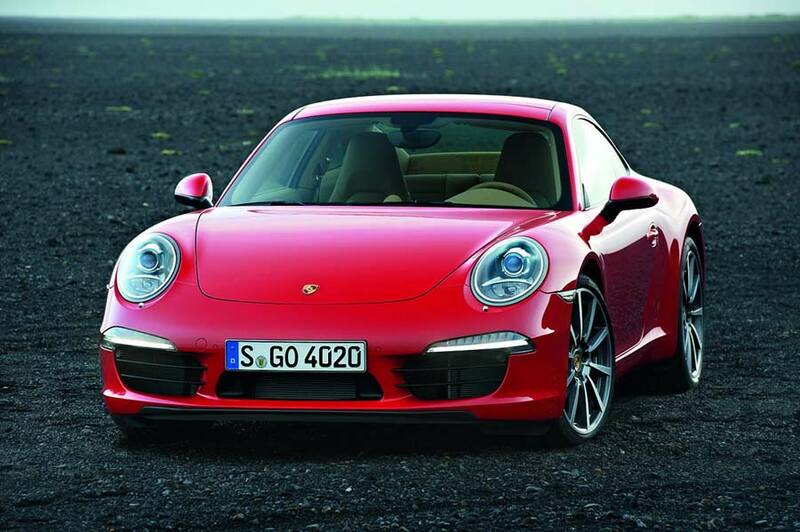 And, although the new Carrera S produces 15 hp more than the old one, it also enjoys a 14 percent improvement drop in consumption – capable of 3.4 mpg. 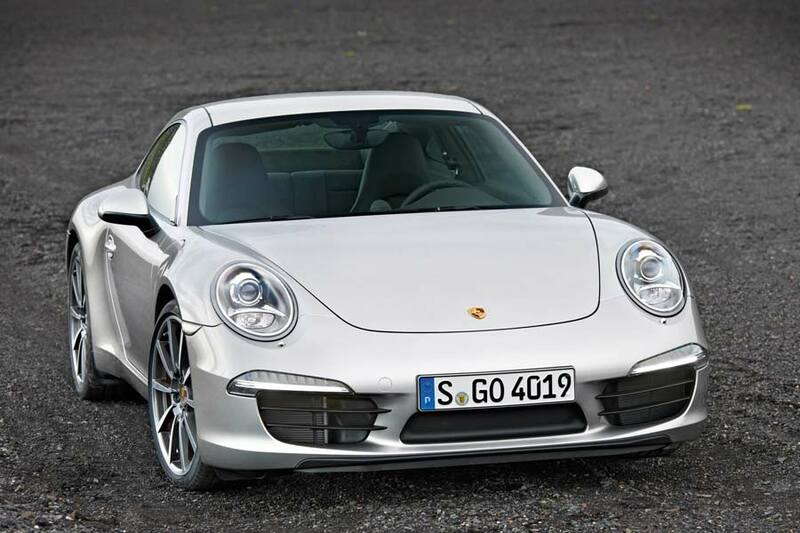 The new Porsche 911 will début next month’s Frankfurt Motor Show and will be in UK Porsche Centres from December 17 2011 priced at £ 71,449 (€ 81,792) for the Carrera and £ 81,242 (€ 93,022) for the Carrera S. Standard equipment on all models includes leather trim, climate control, Bi-Xenon headlights, colour touch-screen Porsche Communication Management, PSM(Porsche Stability Management). 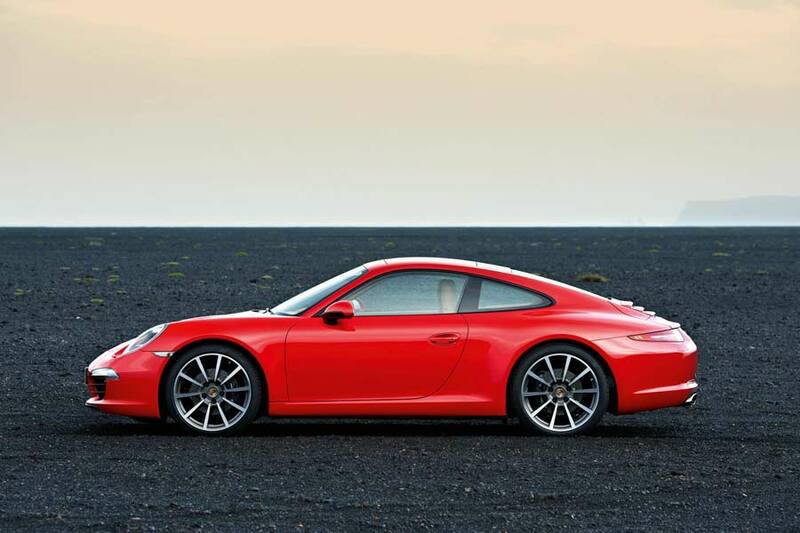 In addition, the Carrera S gets 20-inch alloys, PASM (Porsche Active Suspension Management)and PTV (Porsche Torque Vectoring) with limited slip differential.